Nusa Dua, Bali, Indonesia, June 2017… Father’s Day on Sunday, 18th June 2017 at The Westin Resort Nusa Dua, Bali promises to be an uplifting celebration for every man of the house. There will be an array of special activities to choose from with essential indulgence in mind. Prego will be hosting “Dads Super Brunch” a fun family brunch that will put every dad in the spotlight. There will be all the things that most men like including beer, bikes and BBQ. Apart from great food prepared by Chef Alex and his culinary team, Prego will be organizing lively activities such as arm wrestling, a mini golf competition and wine tastings by Sababay. Lucky door prizes on the day will include vouchers from Cellular World and Bali National Golf. For all the dads who enjoy being pampered, Heavenly Spa by Westin will be offering added-value benefits with every 90-minute Well-being Massage. The choice is between a complimentary foot massage and a refreshing hair wash, along with access to exclusive thermal facilities for a more complete spa experience in personal rejuvenation. The resort’s resident Wellness Specialist, Jitendra Pokhriyal, will also be conducting life-enhancing sessions of Pranayama. This yogic discipline originates in India and teaches how to control the flow of energy surrounding the body. It involves controlled breathing techniques to reduce stress and calm the mind. 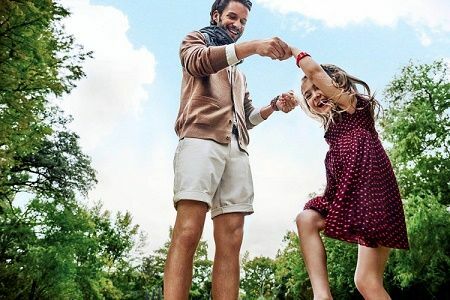 In addition, Westin Family Kids Club will be hosting an engaging program of craft activities where little ones can bond with dad and perhaps give mom a well-deserved break. There will also be fun games like Find Your Dad and a Shaving Race with token prizes to be won. The Westin Resort Nusa Dua, Bali understands the importance of family and Father’s Day is the perfect opportunity to bring everyone together.